Here's some good news... 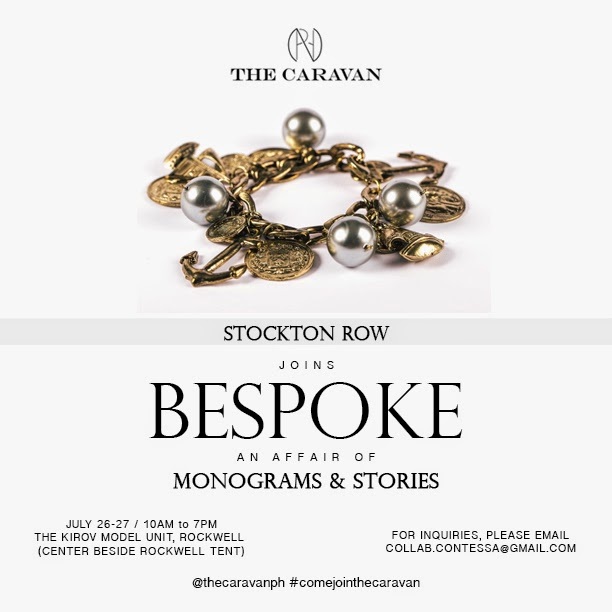 The Caravan and Proscenium At Rockwell present Bespoke Volume Two- An Affair of Monograms & Stories. Stockton Row, one of my favorite brands, is among the featured brands along with Aranaz, Maureen Disini, The Best Impressions, Adorno, Camille Villanueva, Michelline Syjuco, The Urban Alchemists, Kiele, NCLA, Crow's Nest Handmade, Risque Designs, Adamant Eve, Lost + Found, Toni & Guy, Your Local, and more! 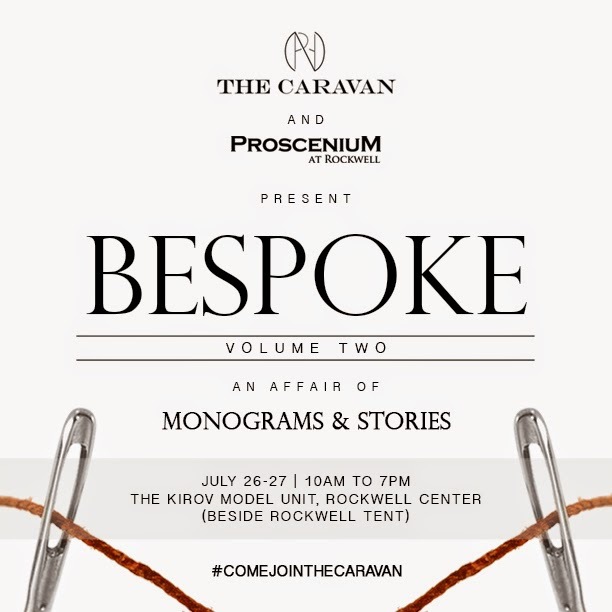 The Caravan II is happening on July 26 to 27, Saturday and Sunday, 10 am to 7 pm at The Kirov Model Unit (beside the Rockwell tent), Rockwell Center, Makati.